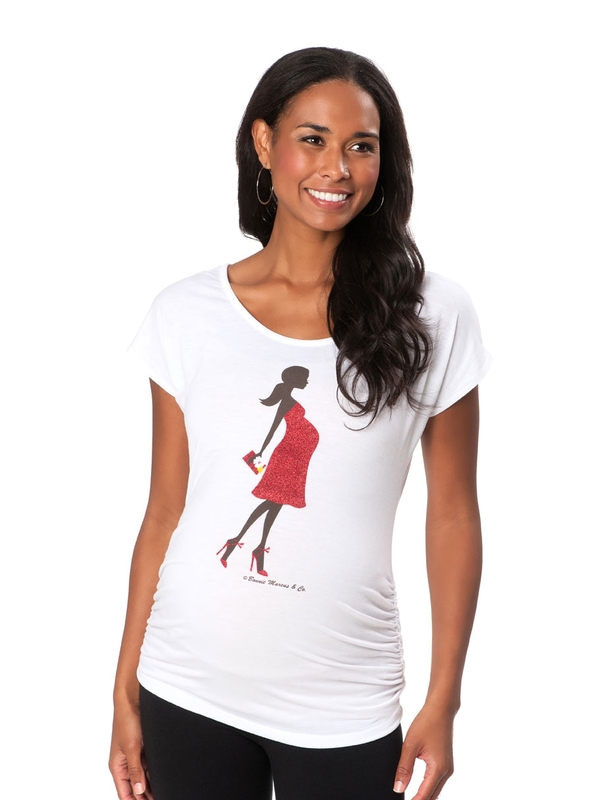 This year, celebrate the holidays in style with one (or all three) of our fabulous collection of Bonnie Marcus tees. Available exclusively at our Destination Maternity® and Motherhood® Maternity stores as well as online at destinationmaternity.com and motherhood.com, Bonnie Marcus is renowned for her fashion-forward illustrations that have graced everything from invitations to iPhone covers. 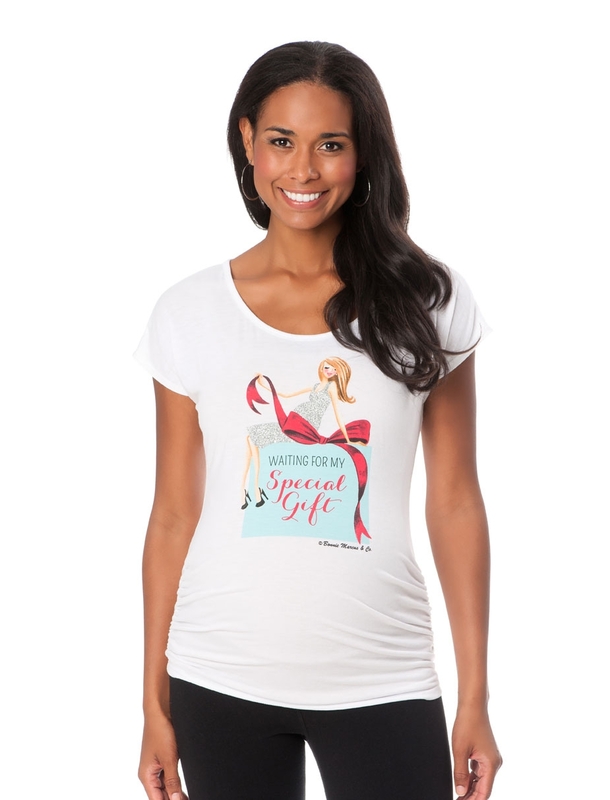 The affordably priced tees – each at just under $30 – feature one of three festive themes including the Holiday Dress Maternity Tee, the Holiday Couple Maternity Tee and finally, the Holiday Gift Maternity Tee. The chic designs coupled with a flattering fit make these a must-have this holiday season. Shop the entire Bonnie Marcus Collection at Destination Maternity!